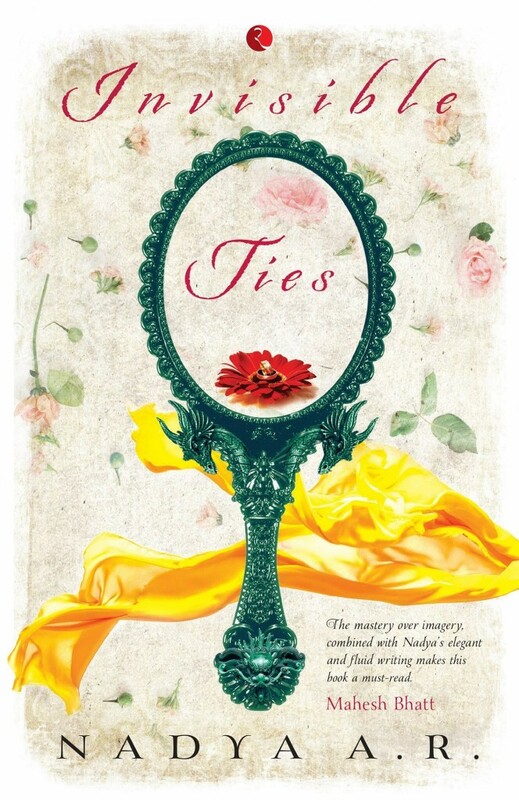 Nadya A.R.’s Invisible Ties traces the journey of Noor Kamal as she goes from being a timid overprotected girl growing up in Pakistan to becoming a self-realised woman, married and on equal terms with her husband in Singapore. The synopsis piques interest because of the multiple settings through which the plot flows – Karachi, Singapore, Malaysia, London – and for a medium-length novel, the plot has enough bends to keep a reader interested. However, through it all, one does not end up feeling for the protagonist and that is the book’s main fault. From the start, Noor is described externally but the author does not give us a window into Noor’s soul. From seeing her as she “tried to fix the creases in the block-printed three-leafed clovers and crimson circles on her ajrak shirt with her hands. Her ivory wide-leg crocheted and lace trousers lines with matching opaque lawn, brushed the dust off the saint’s platform” to scrutinizing “Noor’s tied hair, which emphasised the big round eyes smudged with grey kohl in her clean moisturized face”, one moves from what Noor is wearing to what she is doing, but we don’t fully understand what she is thinking. Noor navigates many situations that South Asian women confront – a lucrative proposal from Meekal, a banker; a mother who guilt trips her into accepting the proposal; an infirm mother-in-law who constantly reminds Noor of her duties, and a vacuous marriage playing out in a foreign land. All these situations are intensely thought provoking and require much de-construction but the lack of interiority in all characters makes the whole situation seem caricature rather than something that is lived, real, and important. Noor’s mother Daisy is always shrill, Meekal is perpetually brooding, his ex-girlfriend Jyothi is sassy and slutty, Jake the ‘handsome American’ is teasing, and so on. Our inability to get inside Noor’s head also makes her come off as erratic instead of sensitive or layered as the author may have intended. In one scene, Noor is fighting with her husband. In the next, she is out on the streets eating durian ice-cream. The one refreshing character is Aunty Banu – Noor’s mother-in-law – who keeps a few secrets, but sadly this part of the story is not given the page count it deserves. Nadya offers a slice of a world and culture that is not often portrayed in English literature. Invisible Ties ventures into several areas that could constitute a novel on their own – the expat life of wealthy South Asians, the tale of a marriage of convenience, the complicated friendship that exists between men and women who can’t end up together or the dark side of privilege told through one girl’s journey into womanhood. But the novel throws it all together without teasing any one theme out fully and a complex story is told with haste. Fairly tragic incidents are wrapped up in a matter of pages, which is made worse by the book’s heavy prose. In one instance, Noor’s sadness is conveyed by the fact that “she dropped the umbrella over a congregation of female cicadas wailing inconsolably along the slain trees on the adjoining pavement of the condominium.” This is overwriting and page upon page puts the reader in a metaphor coma, something that could have been fixed at the editing stage. Moreover, the writing does not allow us access into Noor or any other character’s feelings and that is unfortunate as one can tell the author had in mind a very human story. For instance, one of the central plots of the novel revolves around Noor and Meekal’s arranged marriage. While arranged marriages have been explored a lot in South Asian literature, the situation in the novel is unique. Noor is an affluent woman and Meekal an educated and seemingly liberal man, yet they carry on a baffling partnership where neither side is willing to treat this marriage as a marriage but no one walks out of it either. Halfway through, you are desperately wondering why they don’t just hash it all out one evening. What is the motivation of each character, and if it is deep socialisation, then what is the nature of that socialisation? Answers to these questions are not supplied by the novel. Instead, we get cryptic dialogues and a jumpy narrative. Nadya A.R. certainly deserves credit for the research and detail presented in the novel. From putting in a Singaporean cab driver who narrates the story of how Singapore was founded to giving us the recipe of cendol, all packaged in the form of casual conversation, Nadya offers a slice of a world and culture that is not often portrayed in English literature. And that is lovely. Sadly, the characters inhabiting this world couldn’t be loved as much. This entry was posted in Book Reviews, South Asian Writing and tagged Book review, fiction, novel, south asian writing. Bookmark the permalink.